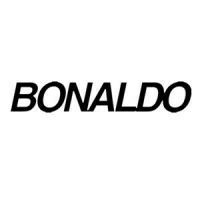 Tonight Open Bed Bonaldo available in 6 different sizes. Discover our best price. 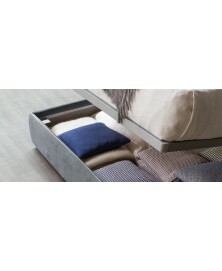 Tonight Open Bed by Bonaldo is a comfortable and enveloping bed characterized by simple and modern lines. It is equipped with a container for storing blankets and cushions. Available as a single or double bed, the Tonight Open Bed can be coated in fabric, eco leather, leather or nabuk in a wide choice of elegant colours. Upholstery is enriched with an exclusive ornamental border that highlights the perimeter of the bed. Feet come in mat painted metal or in painted wood, in various colours. The Tonight Open Bed Bonaldo is ideal for the decoration of modern and elegant bedrooms.